Marinepool Fashionable Felano jacket with maritime details for men, adjustable waistline with cord string. Air circulator at armhole. Compass print at the backside. Artwork badge and embroidery at upper left sleeve. Marine pool embossed snap buttons. Two Read more..
Felano Jacket from order within 4 days. 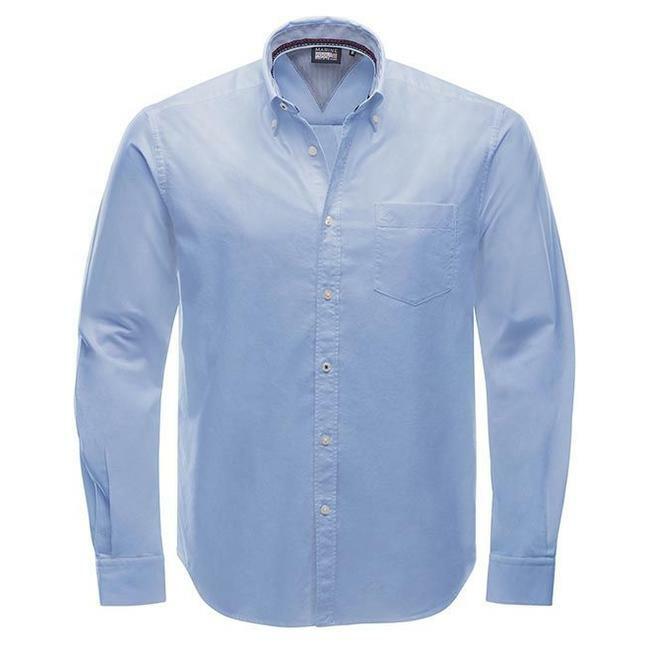 Marinepool Classic blue sports shirt from oxford-woven cotto..